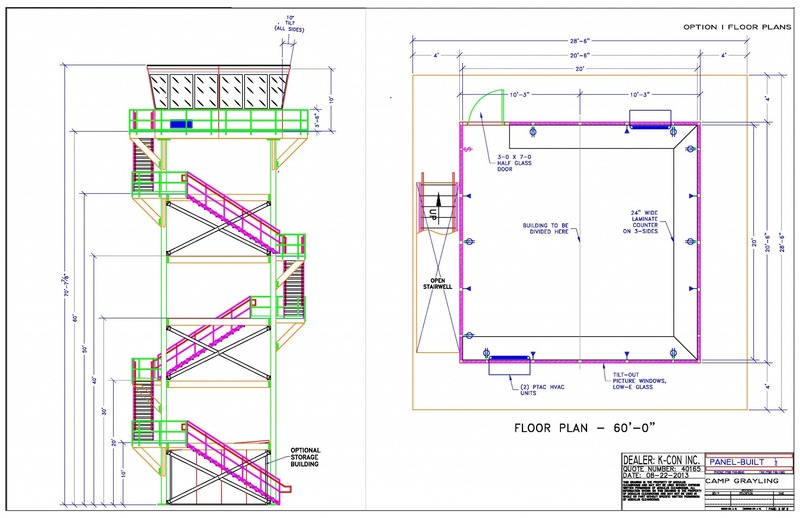 Civilian and military security guards have an important job function and are faced with certain job hazards. 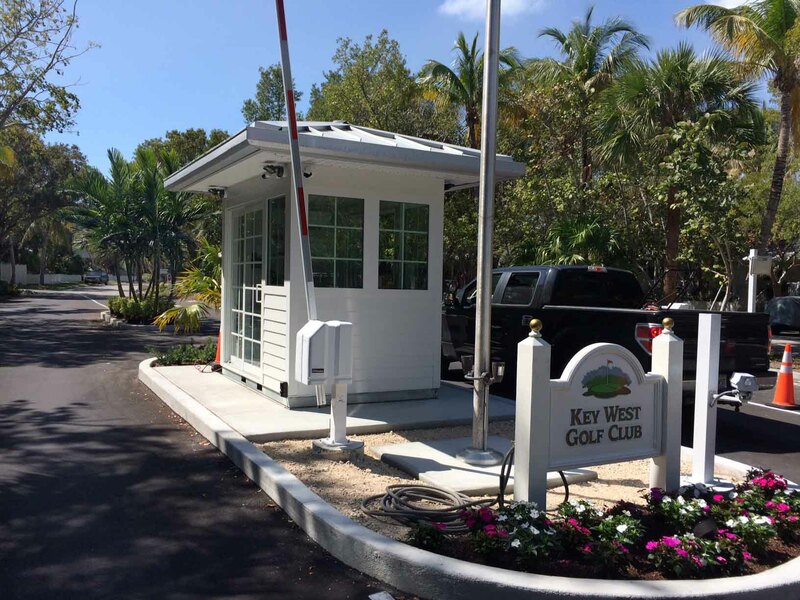 Having a security booth allows them one less stress to face every day. 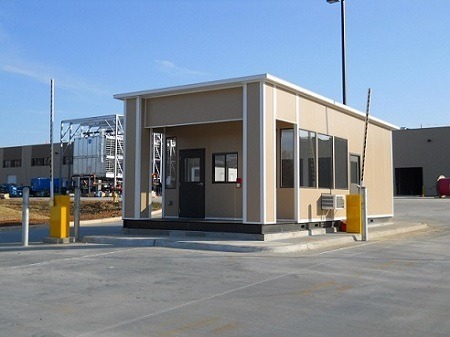 Panel Built manufactures custom guard booths, guard shacks and guard houses to meet the need of each individual facility. 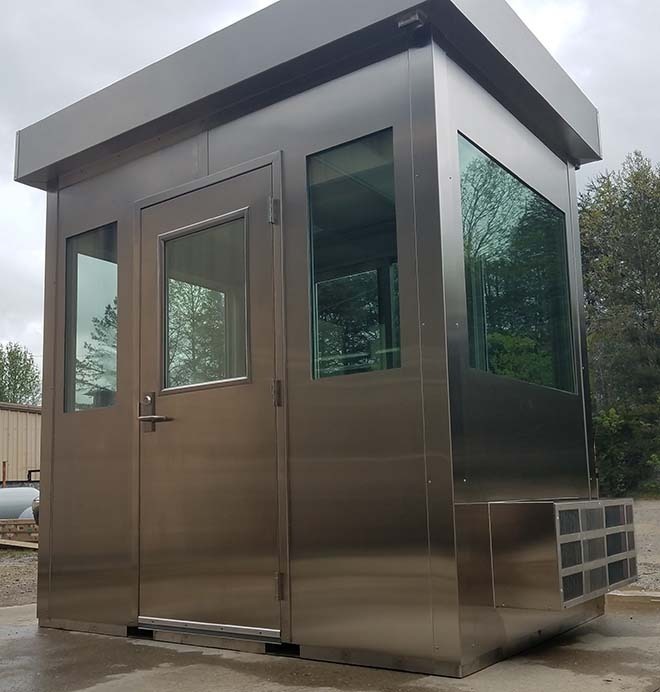 Prefabricated guard booths are innately stronger than traditional booths because each individual section is designed to withstand the stress of transportation and assembly. 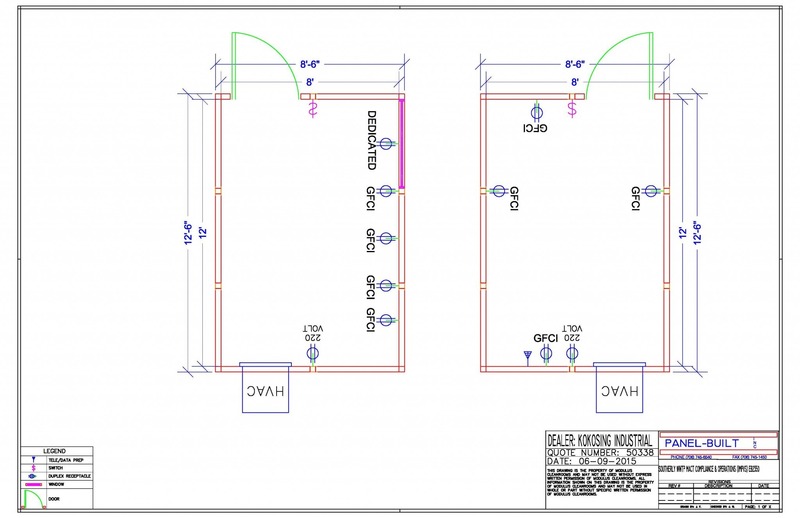 They are also forkliftable for ease of relocation. 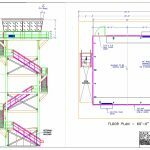 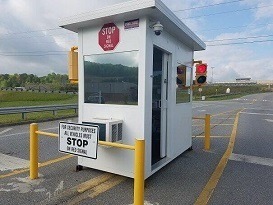 Use security booths to protect individuals and employees at government and military installations, airports, theme parks, stadiums, manufacturing facilities, LPOE booths, border crossings, fueling stations, and much more. 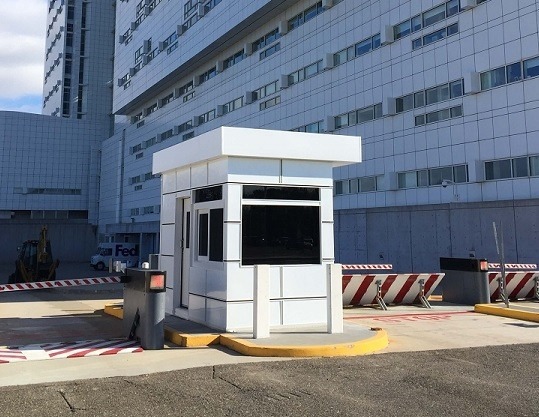 Our guard booths are manufactured to stand up to any unique purpose that you may need them for. 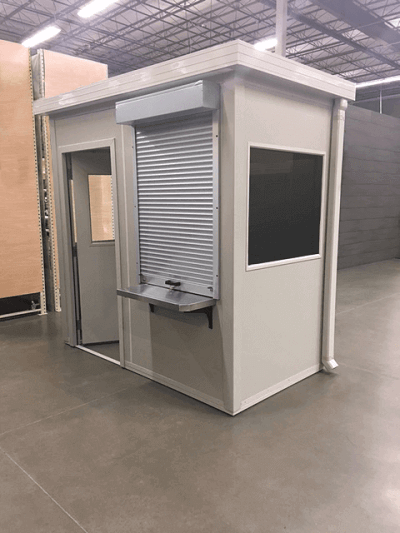 We have guard booths for sale that meet all NIJ and UL bullet resistance ratings, and that can be designed to fit in with the surrounding architecture of your building to ensure a flawless integration into your facility’s environment. 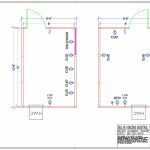 3' x 4' picture windows or 36" x 36"
Offered in a variety of sizes and can be painted your custom color.